Valve's unique Steam Controller just got a little more approachable, after ditching its central touchscreen. In case you didn't know, the Steam Controller is really weird. Valve made a lot of changes to the traditional controller layout, including a somewhat awkwardly-placed touchscreen and an alarming lack of conventional buttons. 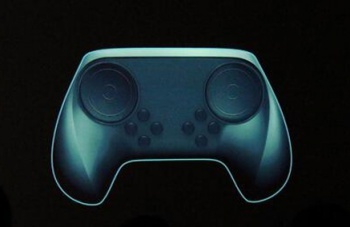 Well, after receiving feedback from the controller's beta phase, it seems like the company has decided not to reinvent the wheel quite so much: the touchscreen is getting the axe in a new design, and it looks like we'll be getting some buttons and maybe a d-pad instead. Chalk one up for tradition. The redesign is much closer to the PlayStation and Xbox layouts that have become the norm, for the purpose of backwards compatibility. However, the two trackpads that replace traditional analog sticks (arguably the controller's most defining feature) still dominate the face of the controller. The final position and layout of the buttons and/or d-pad is still undecided, so don't be surprised if Valve sends out another wave of beta controllers before settling on the definitive retail version. As an added bonus, ditching the touchscreen might mean a lower price tag on the final controller, but of course it's far too early to say for sure.